A fantastic festival of words and fun for all the family including reading, writing and storytelling. Suitable for people of all ages. Back again for 2019, Chorley’s popular word festival returns on Saturday 30 March. 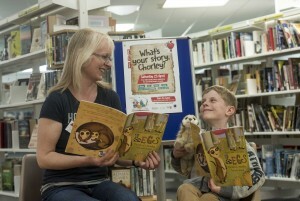 For children and adults alike, the day will bring authors, storytellers and poets to the streets of Chorley. Meet the authors and get a chance to develop your writing skills, listen to poetry or watch dramatic presentations in venues across Chorley town centre.